Custom Exhibits — Exhibit Solutions Inc.
“You guys are incredible. Compliments are still coming in. Thank you doesn’t really cut it. 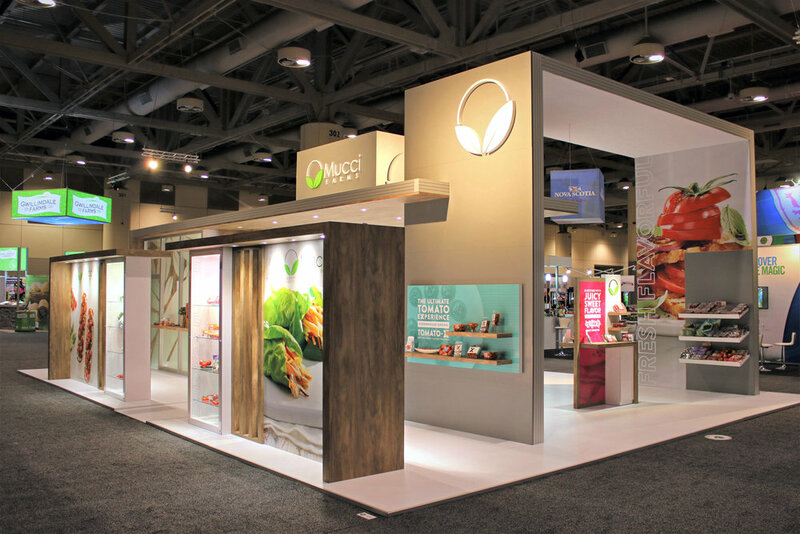 We design exhibits that set you apart from competitors and drive traffic to your booth. You can rely on us to provide you with great service, expertise, and 1:1 support to ensure you have a fun and seamless booth build experience. Your displays and exhibits are crafted by expert carpenters, using quality materials so you always look your best. Our booths are described as captivating, considered and experiential. Always, pushing the boundaries of design and engineering we want to ensure your products and services stand out from the rest. Compromise is not an option when working with a local, experienced, and design focused exhibit display company to build your custom booth. You want great service and a partner that you can rely on. Collaborating with the Exhibit Solutions team, you will work with friendly, honest, and supportive individuals who care about your goals. You will have a team of experts looking after your event and display fabrication so that you don’t have to worry about the details. Our custom displays and exhibits are crafted by expert carpenters. 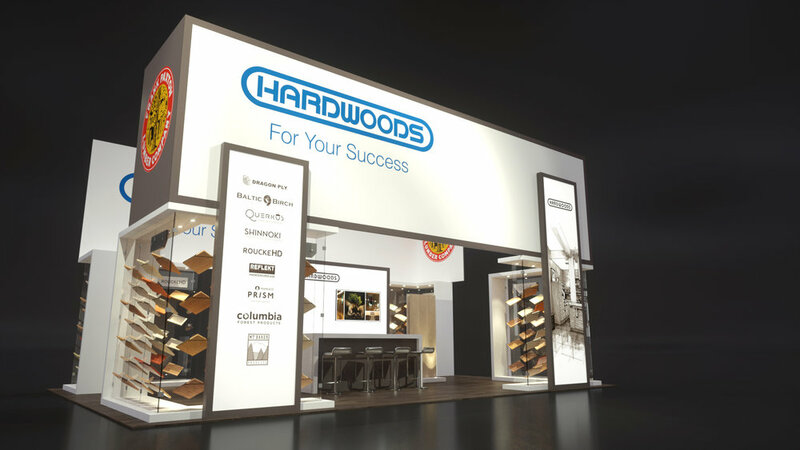 We incorporate fine millwork, unique lighting design, fabric graphics, dimensional logos, innovative print solutions and other quality materials, to ensure your booth speaks to your brand and gives your attendees the experience you envision. Tell us what you are looking for; we’ll listen to your wish list, brainstorm design ideas and collaborate to bring you the best solutions for your show.